Huge car stereo installation in Melbourne with a walled off ported box housing two 15" Orion HCCA subwoofers. Huge bass! This client came to us with all his equipment and said make it loud. 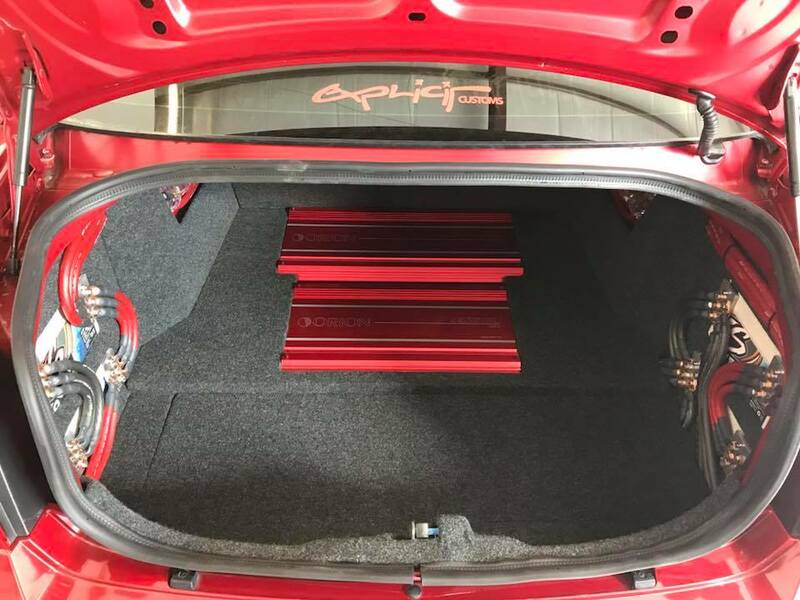 We started by removing the rear seat so that we could build a massive ported box for these incredibly large 15" subwoofers from Orion. 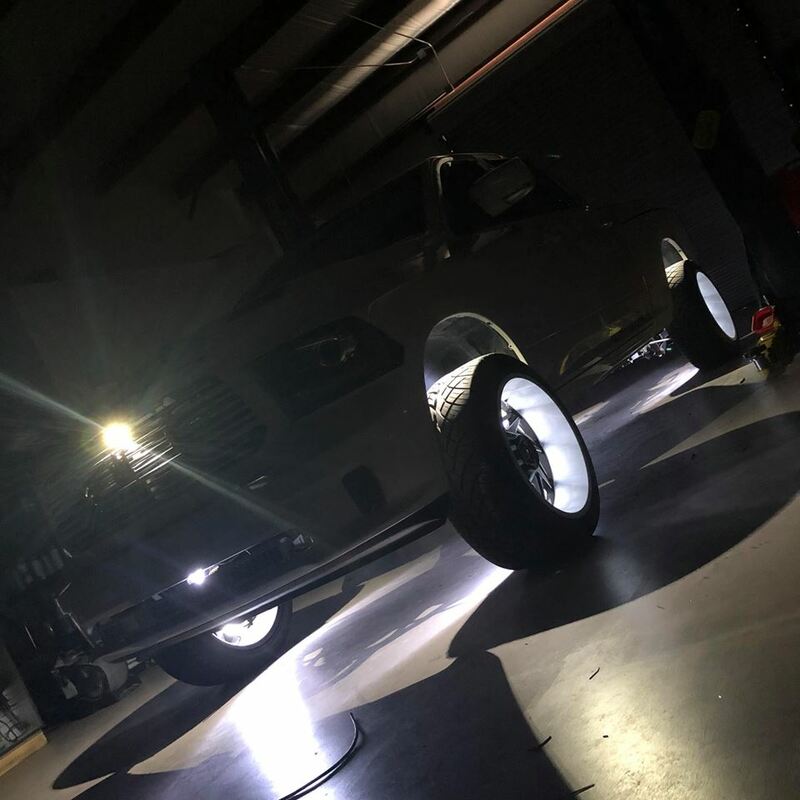 These huge subs weigh in at almost 70 lbs. 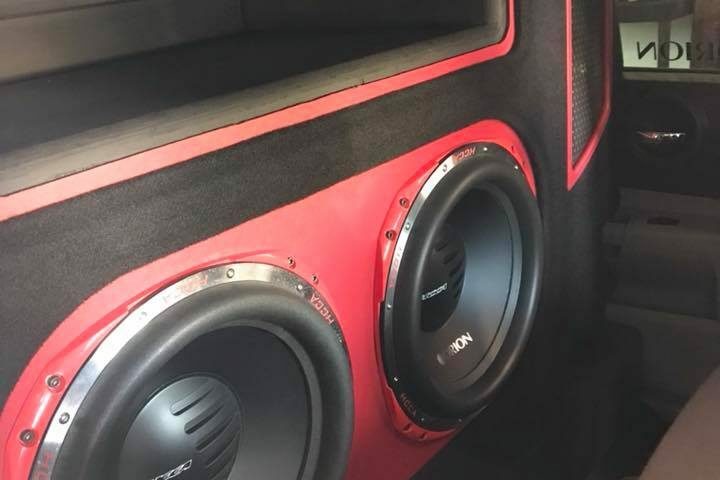 a piece and can handle between 2500 watts RMS and 5000 watt bursts. Since we used the entire rear seat for the subwoofer box, we had the entire trunk to do a clean installation with the amplifiers need to push those behemoth subs. 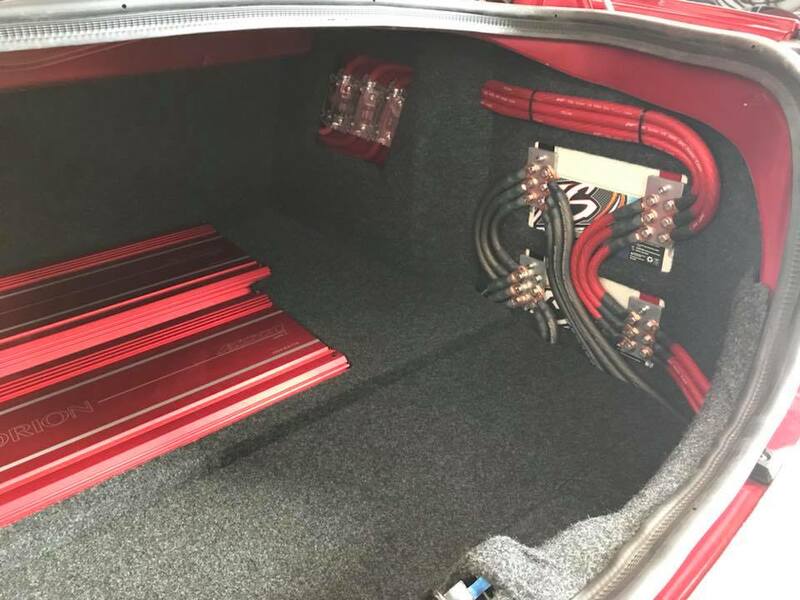 The client supplied matching Orion HCCA amps the entire system. 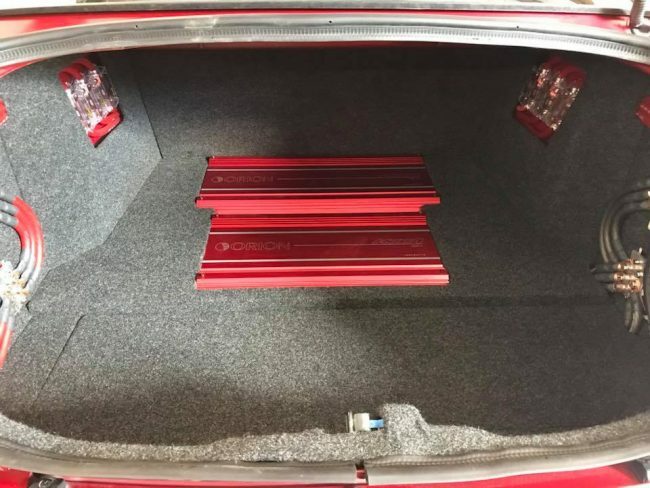 We created a false floor in the trunk so that we could flush mount the amps and keep the installation super clean. The sides of the trunk were used to mount the 4 XS Power batteries needed to keep the system pounding. 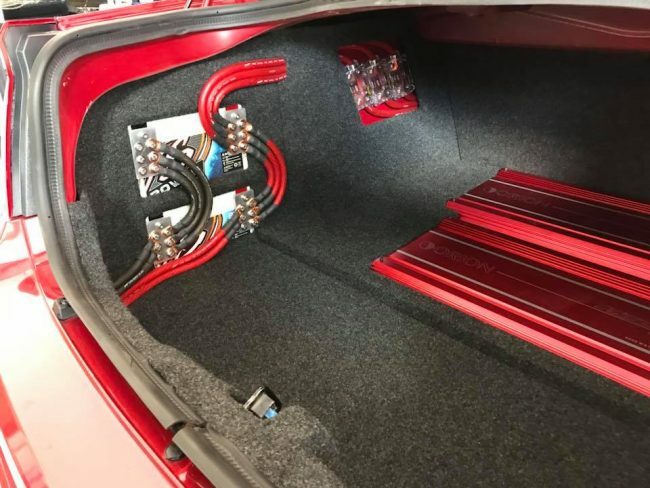 We trimmed out the trunk with viewing windows to display all the equipment and routed the wires to really show off the quality of the install. 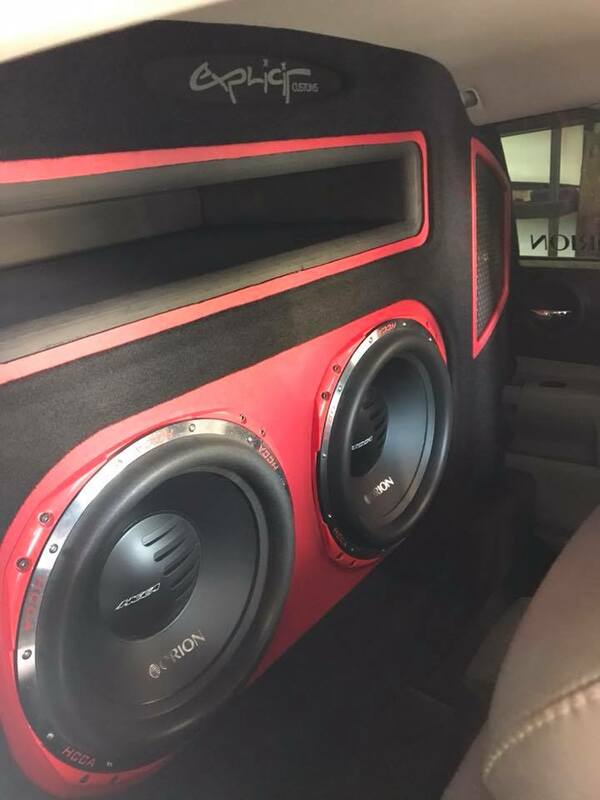 We greatly appreciate our clients trust that they place on us with their cars and in building and installing the car stereo they dreamed of. 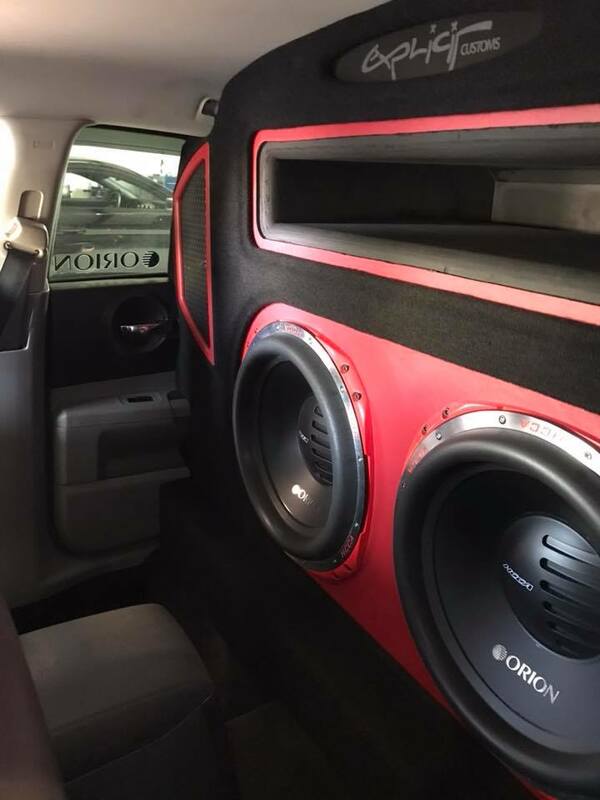 This client wanted windshield shattering bass and we delivered. 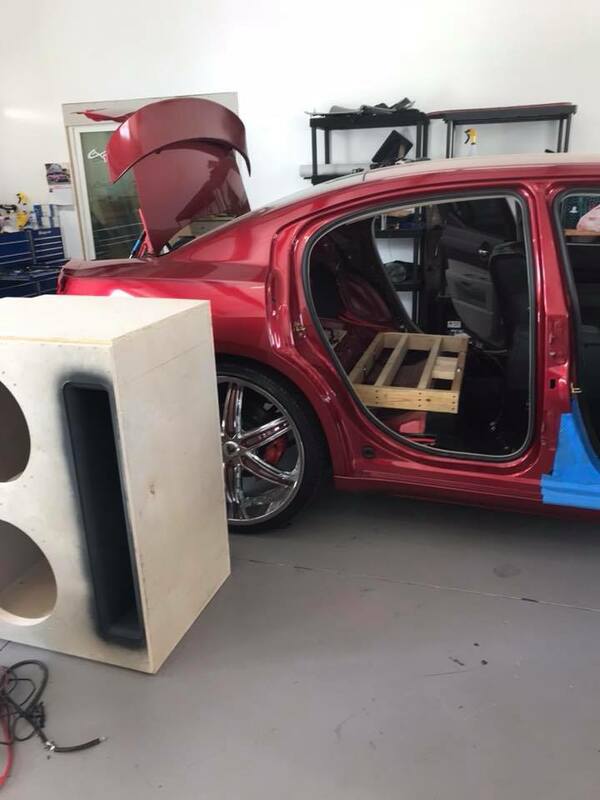 Huge bass installation right here in our car stereo shop in Melbourne.